This season, rooty depth and creamy tones of honey and beige are creating dimension in lighter shades. 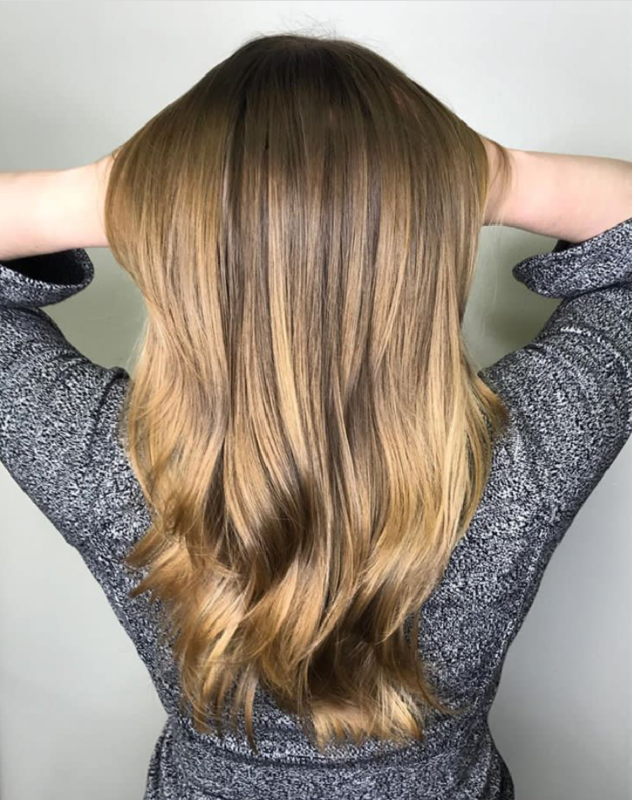 The Color XG Warm Beige and Natural Brown series are favorites at my color bar when I’m transitioning from lighter levels. I also love enriching blondes with a topcoat of PM Shines Clear with Orange Color Shots. It’s a quick way to give a commitment-free kiss of warmth to blondes without changing the depth. 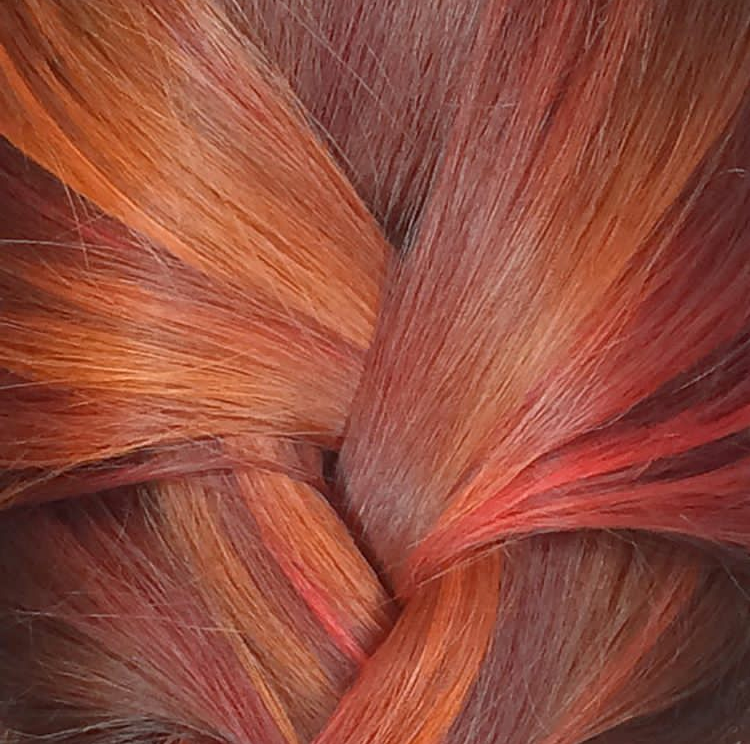 Fall is all about redheads, featuring born-this-way shades of nutmeg and copper. Use large panels of varying tones in similar levels for light catching contrast. Let guests know that Color Craft is the perfect addition to keep those shades smoldering all season! For brunettes, add flattering warmth when sun-bronzed skin starts to fade. Hand paint face-framing sections with Skylight to add contrast. 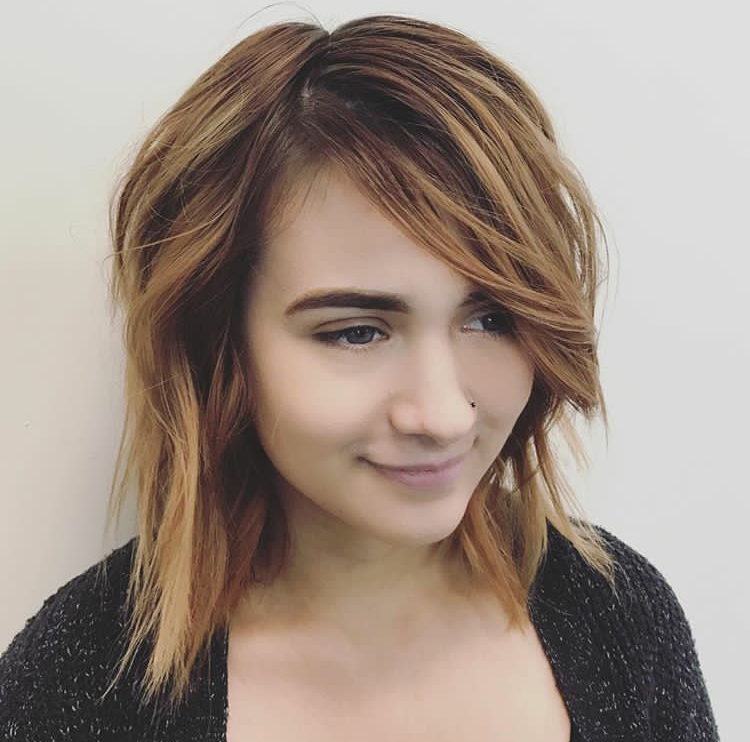 Follow with The Demi Matte series to ensure that the vibe is “apple cider” not “pumpkin spice.” For guests looking to be bold, choose a deep raven hue for striking red-carpet style. 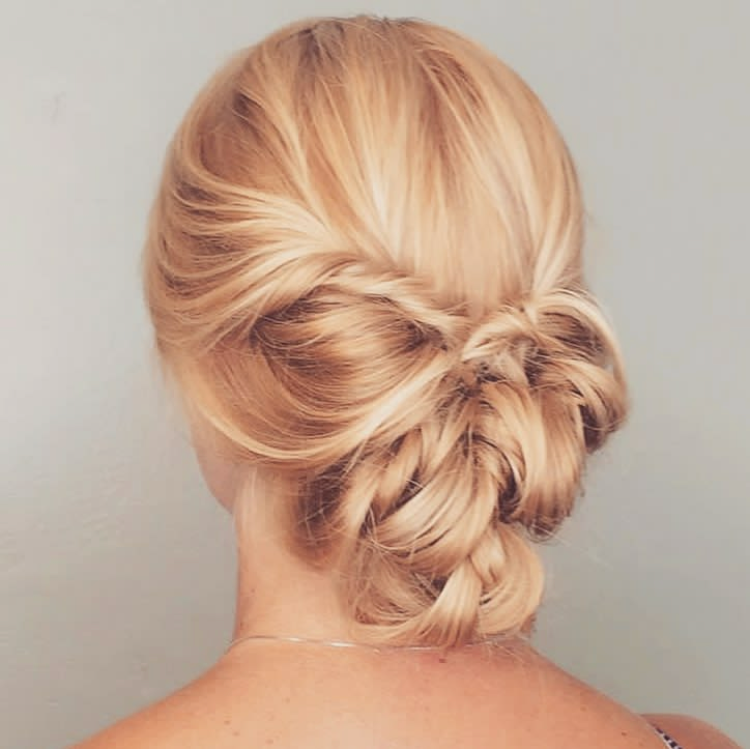 Speaking of style, sleek is the key when it comes to upstyles. Deep, side-parted ponytails and sculpted chignons bring understated elegance to the forefront. While the messy crown braid is sweet this season, I love the micro braids added to topknots and loose tresses I’ve seen on the runaway. 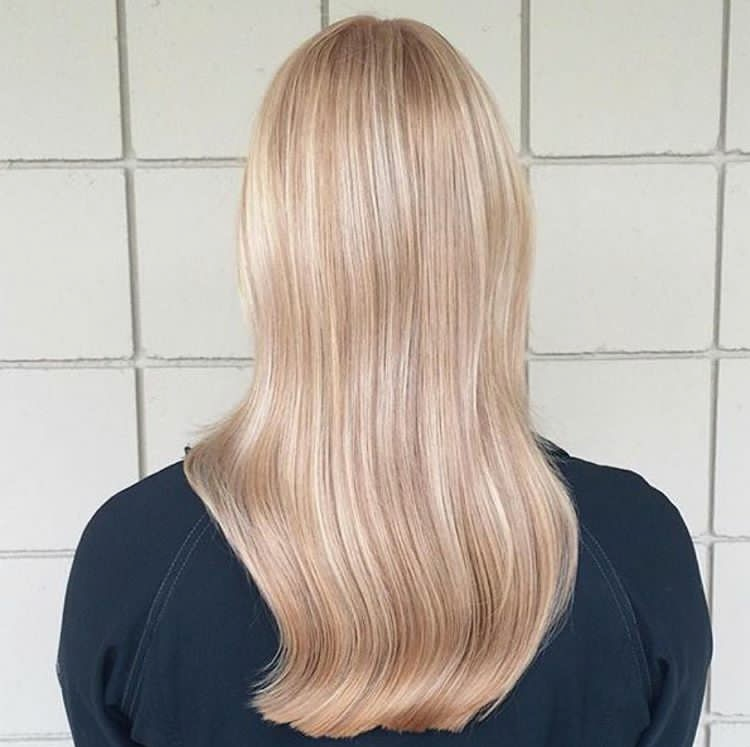 Long lengths are sporting lived-in layers, perfect to pair with barely-there waves and swept back styles. It’s all about carefree texture. I’m more than excited to see long bobs being cropped into chic collarbone or shorter lengths. 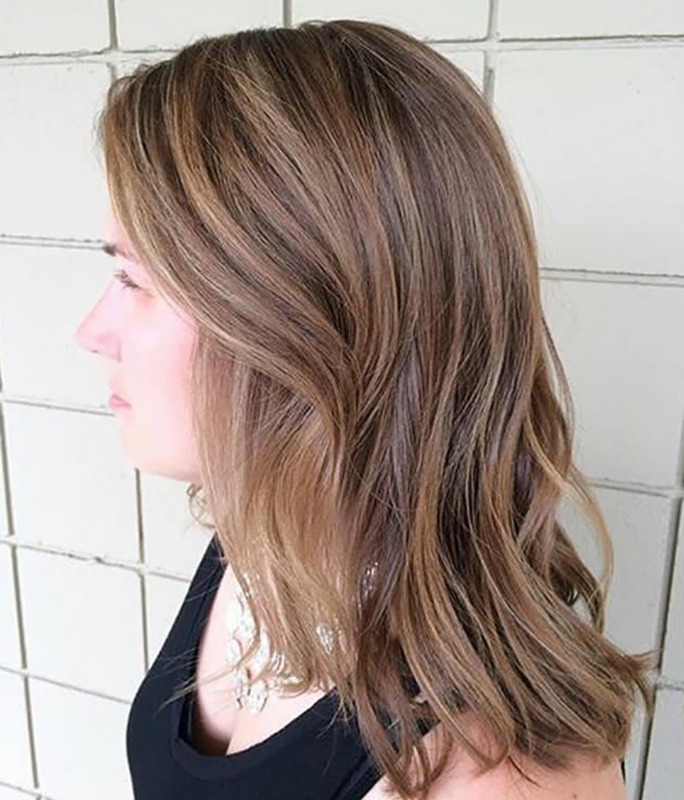 This flattering simple cut looks sleek (and lays so much better with those bulkier fall scarves and sweaters!). Fringe makes a comeback and natural texture is being celebrated. As the temperature drops, boost your business and your creativity with these seasonal trends. Just think of all the #beforeandafter possibilities! For tips on how to build your books, click here.